Kenya has been ranked 9th globally in geothermal power generating capacity and leads in Africa with a generating capacity of 700MW according to the Renewable Global Status 2018 beating the famous technological heavyweight Japan who took position ten in the rankings with an output of 500MW. The status report highlights growing investments in Kenya’s renewable energy sector including US $80m secured by the largest solar deal in Africa, M-KOPA in 2017.About 9m households in Kenya have access to off-grid renewable energy.This accounts for over 70% of Kenya’s installed capacity compared to the world average of 24%. The largest geothermal generating Country, USA has a generating capacity of 2,500MW followed by the Philippines 1,900MW, Indonesia 1,800MW, Turkey 1,100MW, New Zealand 1000MW, Mexico 900MW, Italy 800MW)and Iceland 750MW.The rest of the world share 950 MW where else Ethiopia is the only other African country with developed geothermal energy 7MW. Geothermal energy is a preferable energy source due to low emissions when compared to thermal sources.It is also cheaper than thermal power when used as an alternative to mitigate depressed hydro power generation due to drought. 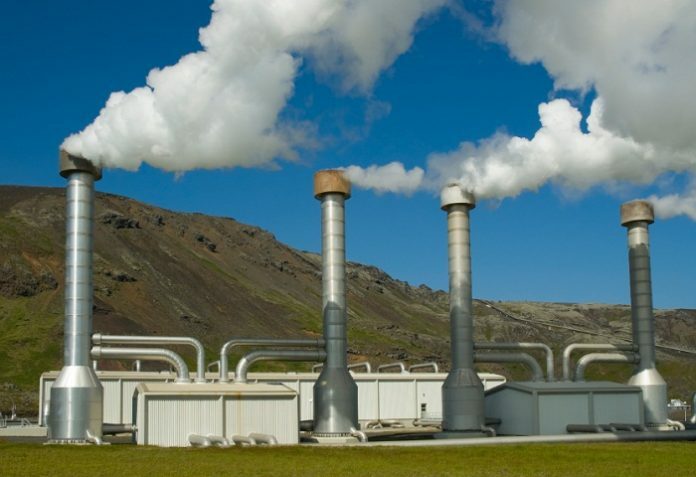 Kenya has a target of 5GW geothermal capacity by the year 2030.Green energy power plants under development in Kenya include the 300 MW Lake Turkana Wind Power Plant, the 70MW Olkaria 1 and the 140 MW Ol Karia V. The Lake Turkana Wind Power Plant is the single largest wind power plant in Africa. However, the Turkana wind farm has faced installation challenges and is yet to be connected to the national grid.